The design rules for wastewater and sludge treatment facilities time-tested in Germany are geared to the specific boundary conditions prevailing there. Consequently, for applications abroad it is frequently necessary to adapt the various design approaches to the wastewater and climatic conditions obtaining in other regions. The BMBF-sponsored EXPOVAL Joint Project (“Transfer-oriented research and development in the wastewater field - validation using industrial-scale plants”) should extend the design specifications for wastewater plants, e.g. 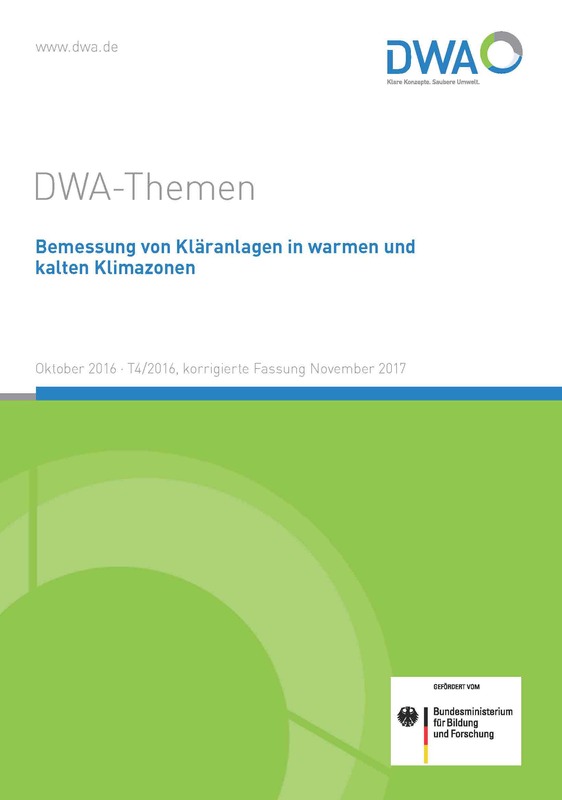 as laid down in set of rules published by the DWA (German Association for Water, Wastewater and Waste), so as to match the boundary conditions in other countries. This point relates in particular to relatively high and relatively low wastewater temperatures (5-30°C) and also to elevated salt content (up to 10 g/l). These investigations are focused on municipal wastewater treatment processes that are commonly used throughout the world, e.g. 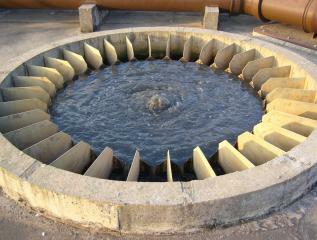 activated sludge processes, trickling filter systems, anaerobic processes and wastewater ponds. In addition to the design of these processes are ones relating to aeration technology, the treatment of sewage sludges and wastewater disinfection were also considered. The developed design rules have been validated in applications geared to industrial-scale plants and concrete practical recommendations relating to design and operation have been derived from them. Additional investigations on small-scale and semi-scale experimental plants have also been used for purposes of comparison and to settle specific issues. 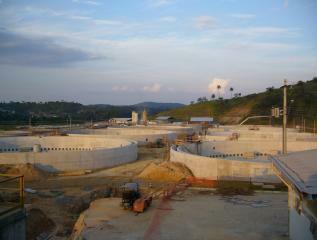 The investigations were carried out at sewage treatment plant sites in various climatic zones. The results, especially the practicable design algorithms, are presented in an internationally-oriented DWA monograph (DWA Topic T4/2016), to supplement the existing DWA Set of Rules issued by the German Association for Water, Wastewater and Waste (DWA). 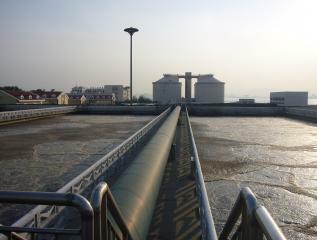 Design rules, operational instructions, and model computations for standard wastewater processes were compiled in the monograph. Work on this manual were carried out by DWA working group BIZ-11.3 “Design of wastewater treatment plants in hot and cold climatic zones” set up in May 2012, which had monitored the project. Six German universities and 11 industrial partner organizations have been integrated into seven closely-networked Subgroups, each dealing with the aspects of the investigations had mentioned. The project incorporates, inter alia, know-how derived from earlier BMBF-sponsored projects belonging to the Joint Project entitled “Transfer-oriented research and development in the wastewater field” (in this respect, see the German project website of the previous Joint Project coordinator Ruhr-Universität Bochum or Downloads). The extension of the German design specifications should facilitate the adaptation and cost-effective design of wastewater plants in other countries. Thereby it was an objective of the project also contribute towards improving the worldwide transfer of wastewater know-how and technologies. BMBF-sponsored project duration: 01/2012 – 10/2016. Additional activities for the dissemination of the results have been sponsored by BMBF until the beginning of 2018. Among others, the further dissemination of the results will be continued by the distribution of the DWA Topic T4/2016 and related DWA seminars. The German Federal Ministry of Education and Research (BMBF) has sponsored the EXPOVAL Joint Project with a grant of € 7.5m (Reference codes: 02WA1252A to 02WA1252S), the total project had costs amounting to € 9.7m.